It's slightly wobbly with the odd iffy bit here and there and it serves absolutely no purpose but I'm thrilled to bits! It's the first thing I have ever crocheted! I shall keep practising and practising as I'm well and truly 'hooked' so watch this space! So, from me and my wonky heart, have a truly wonderful Easter! Well done you - not sure I would be able to do one of those. Well done from a fellow beginner. Oh well done you!! I am also a beginer to the old hook and have been truely surprised at how tricky it is. I think I have just about mastered a chain and double crochet but thats about it. I dream of making a lovely blanket one day!! 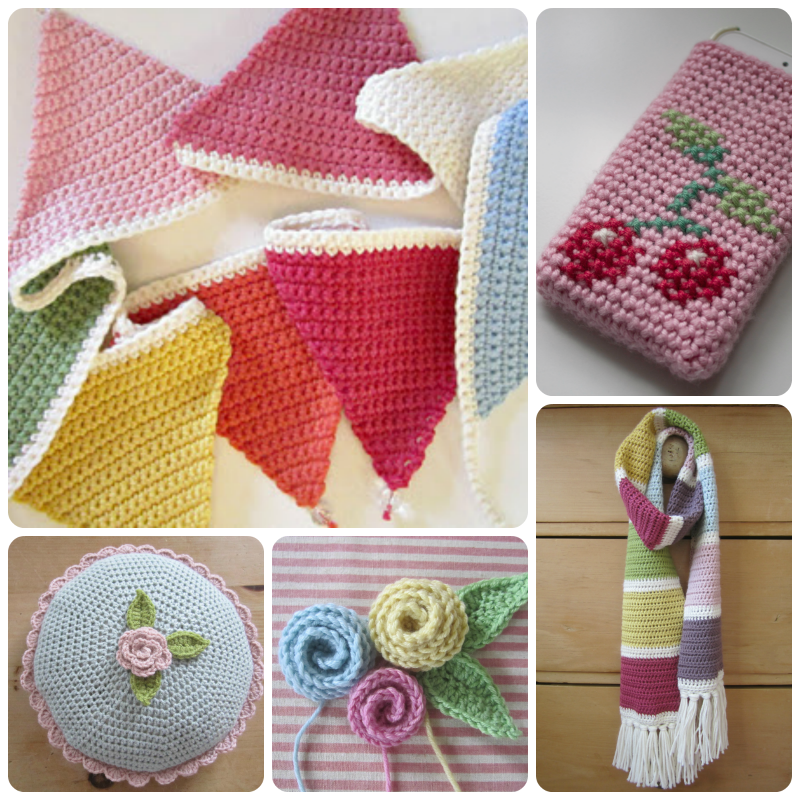 Crochet is still on my To Learn in 2010 list. No wonder you're thrilled! It's lovely. I've left a thank you on my blog but I want to say it again....thanks so much for sending me a card. I loved it, lots of inspiring cupcake designs. You are a star! Have a fabby weekend with D and Blondies. Oh well done you. It is lovely. 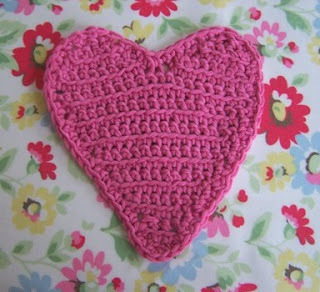 well done you ..it is pretty...i'd love to learn to crochet...is it really hard...or ok once you get the hang of it?? I'm SO glad you've done it!!!!!!!!!!! !